After a modest start, "Decorative" is now one of the reputed brand in Outdoor Garden Furniture, Stainless steel & wrought Iron furniture industry. We are also known for our innovations, quality and creative designs... We supply, wholesale, and trade an extensive range of furniture catering to the needs of home,corporate & hospitality sector. Our furniture are high in demand among Hotels, Resorts, Homes, Offices, and Resorts for their comfort and aesthetics. 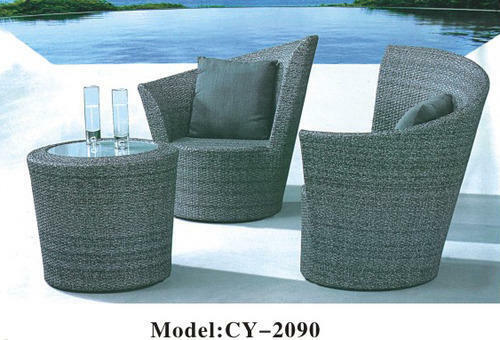 Established in the year 2005, we Weave Crafts, are engaged in the supplying, trading, and wholesaling of a wide range of Garden, Home, Office, Banquet, & Cafeteria furniture. These furniture are aesthetically appealing, highly comfortable, and are available with different & creative designs & styles. Our supplied furniture are ideal for both indoor and outdoor spaces and are extensively used in homes, hotels, resorts and offices. Designed using Aluminium, Stainless Steel ,hardwood, softwood, veneers, and iron, our furniture stand tall on all quality parameters. We offer Home & Office Furniture like outdoor furniture, office furniture, hotel furniture, residential furniture, lounge chairs, bedroom set. Our mentor, Mr. Divesh Savla is the guiding force behind the success of our business ventures. His business acumen and ethics have motivated all the employees to work hard and achieve the organizational goals and objectives. It is due his rich industry insights that we have been able to garner a large network of clients in Indian Subcontinent. If you have any requirements of the above mentioned furniture or any other Designer Furniture, we would be happy to fulfill your requirements.